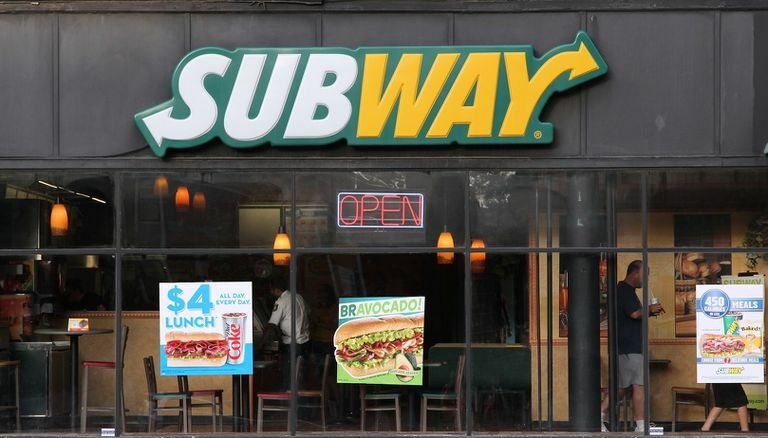 Subway, the fast-food restaurant chain founded in 1965, has long prided itself on being the healthy alternative to the likes of KFC and McDonald's. With the launch of its Fresh Fit Meals for Kid menu in 2007, the company further staked its claim as the industry leader in providing low-fat, nutrient-dense meals that meet the dietary standards set by the federal government. Now, more than a decade later, does Subways still live up to that promise? Back in 2000, the Milford, Connecticut-based franchise embarked on what would become an 11-year marketing campaign centered around Jared Fogle, an Indianapolis man known as "the Subway guy" who lost over 200 pounds due in large part to a diet comprised of Subway sandwiches. It was an effort that helped triple the growth of the franchise between 1998 and 2011 and propel the concept of healthy eating in the fast food world. In 2014, Subway embarked on a similar effort focused on kids' eating. The campaign, created in partnership with the Partnership for a Healthier America and backed by First Lady Michelle Obama, was aimed at encouraging fruit and vegetable consumption among children and expanding the company's kids' menu offerings. The Fresh Fit Meals for Kids, a direct response to the much-maligned McDonald's Happy Meal, was founded on the promise that Subway would adhere to the nutritional standards set by the national school lunch program. What this means is that the kids' meals would have to contain no more than 600 calories, have zero grams (g) trans fat, derive less than 10 percent of calories from saturated fat, and contain less than 935 milligrams (mg) of sodium. Subway's Fresh Fit Meals for Kids menu is comprised of four ready-to-go meals which pair a four-inch Subway sandwich with a vacuum-sealed packet of sliced apples and either an organic juice box or low-fat milk box. As an added treat, each meal comes with a co-marketed toy from the likes of Disney and Sega Games. Nutritionally speaking, each of the four meals easily meets the standards set by the Dietary Guidelines for Americans issued every five years by the Office of Disease Prevention and Health Promotion (ODPHP). Where the company falls short, surprisingly, is in the availability of published nutritional information, both online and at their stores. This forces the parents to calculate the information for each individual menu item, an irritating step made all the more annoying by the recent discontinuation of Subway's online Meal Builder for Kids. Insofar as the numbers go, Subway's Fresh Fit for Kids meals more than live up to their promise of providing kids the nutrition they need without the added fats and sodium that contribute to childhood obesity and high blood pressure later in life. With that being said, it is questionable whether the portions are ample enough to satisfy bigger kids. The problem with this, of course, is that it can lead to an 11-year-old in need to more calories—up to 2,200 calories per day for active girls and 2,400 calories per day for active boys—to grab a bag of chips or a chocolate chip cookie, undermining many of the nutritional goals. Even if a preteen were to order a six-inch sub and forego all of the other extras, caution would still be needed when ordering. In the end, not all Subway sandwiches are not created equal. Some, like the Spicy Italian or the Chicken & Bacon Ranch Melt, deliver upwards of 9 grams of saturated fat and as much as 1,550 milligrams of sodium per serving. To this end, if your child is older and needs more food, order the kids' meal and add a serving of Subway's chicken tortilla soup (110 calories, 4.5 grams fat, 1 gram saturated fat, and 660 milligrams sodium). This can make the meal more filling while staying well within the range of calories, total fat, saturated fat, and sodium recommended by the OPDHP. The information on this page is intended for educational purposes only and is not meant to provide nutritional recommendations. See the restaurant's menu for complete nutritional facts and learn more about making healthy choices for your child. How to Find the Nutritional Value of Your Favorite Foods?